Today’s Guest Post is so inspiring and breath taking I wish that I could make the entire world read it. I wish I could swallow it down into my soul and truly embody it, and as the New Year approaches I am determined to meditate on Amy’s thoughts and *try* to apply them to my own life. Amy and I went to Primary and Secondary School together and we weren’t always the best of friends. In Primary School she hated how I would “show-off” and do the splits everywhere and I thought she was annoying and a “teacher’s pet” – I mean, her mum worked at the school, what was with that?! Somehow we managed to put these differences aside and maintain a civil relationship through out High School, but it has been in the years since then that I’ve really seen the depth of her beautiful character. 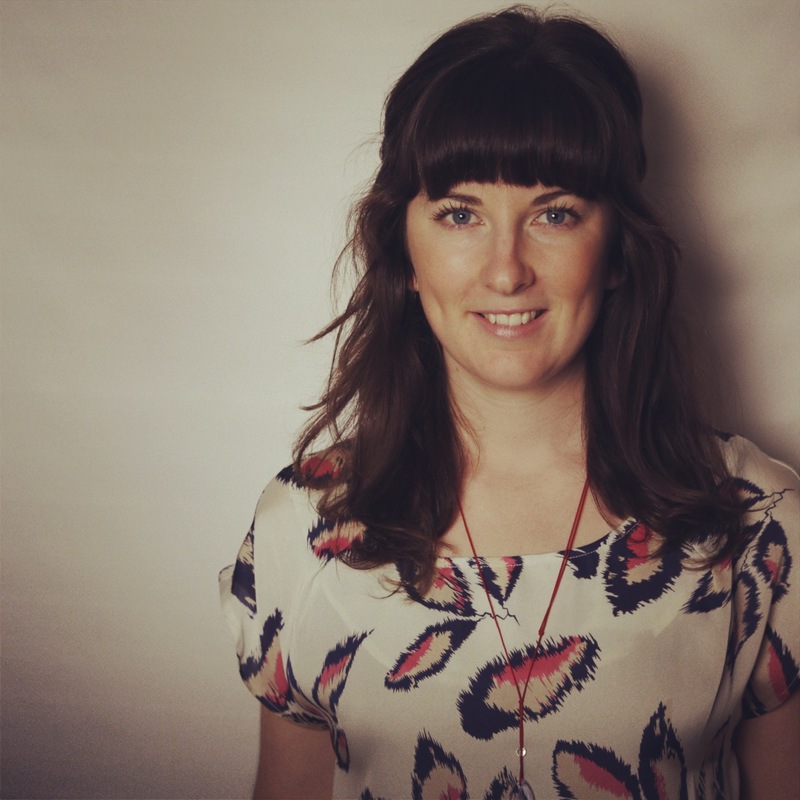 Amy is now a Classical Chinese Medicine Doctor who works tirelessly to bring fabulous health and strength to her clients, and she absolutely loves loves loves her work! You are about to read just a snippet of her journey – prepare to be encouraged, motivated and challenged! Thank you so much for sharing with us Amy!!! Three years ago I went out to play pool with my brother. We’re actually not blood related at all, but Pat had been a part of our family since I was in primary school. He had been a weekly fixture at Wednesday night Changing Rooms and Roast Nights at mums since I was 12. 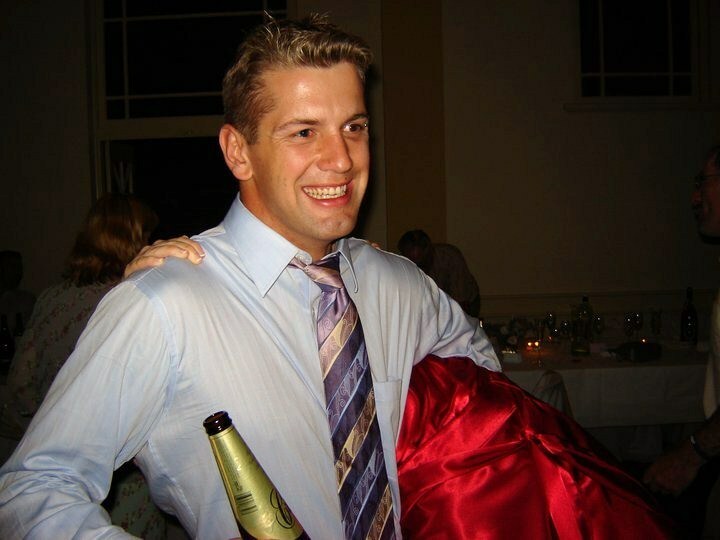 Pat picking me up in one arm + holding a beer in the other at my sisters wedding. So Much Fun! He was the gentle giant that made the whole room giggle, and he broke up the girl-on-girl sister tension with his bold and deeply cheeky ways. So, three years ago, we went out on the town to play pool. And two weeks later he was gone. right down to your very wounded and fragile soul. Those weeks are a blur. I didn’t go to work. I remember helping to choose the suit that Pat would be buried in. I remember sitting with my sister and Pat’s beautiful long term previous girlfriend sifting through photos for the funeral. I remember staring blankly at walls. I wrote a lot. For hours each day I penned streams of subconscious thoughts and feelings. And I gave myself permission to feel it all. Deep, full body, heartbreaking pain. Numbness, shock and raw emotion. I had a godsend of a beautiful counsellor to help support my path. The big decision I made early on was to sit with each emotion as it arose; to embrace every moment for what it was. I chose to feel the depth and breadth of it all in each moment because I knew deep down that even though the full experience of grief is so painful it’s almost debilitating, it’s also the only way to heal. Every day was a big day. But at some point, something changed. The condolence flowers on the desk in my bedroom began to wilt and die in front of my eyes. Something shifted. I started wondering how it was that I had programmed myself to believe that I was always entitled to another day. I owned up to the big elephant in the room…that some day each of us will have our last day. Instead of contracting, shrinking, blocking and controlling, I expanded and welcomed. 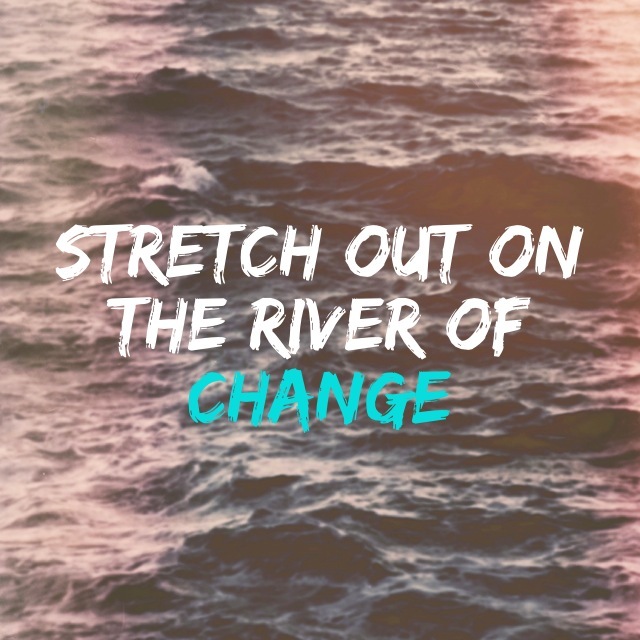 I stretched out on the river of change. I distinctly remember walking around Brunswick and being overcome by a massive, whole body wash of deep gratitude for all that we have in each moment. I remember not wanting to put my sunglasses on, because I wanted to feel and see the world in all its raw intensity. The delicious rays of sunlight. The leaves dancing on the pavement. If we only see it. It caused a palpable and ever-present shift in my life – and it all comes back to how I changed my perspective on that day, lying curled up in my bed, staring at the red wallpaper of my Brunswick share house. I am no longer prepared to live a life that is any less than breathtaking, amazing and deeply soul filling. I am here to live the depth and breadth of all that I can be. I am so clear about what makes me feel amazing, and knowing that I won’t be here forever somehow gives me the courage make big and bold decisions based on what I am here to do in this crazy beautiful life. I invite big and scary change. I love them in fact. away from all my family and friends. at this crazy, beautiful life! because I feel big clarity. I work tirelessly to create a reality that is totally in line with what I crave from my life experience. I give my brain, my ego, over thinking and over rationalisation a whole lot less credit than I used to. They’re more like backseat drivers to me at this point. I listen to and act on what my gut/heart/intuition tells me, and I pursue the things that I am deeply passionate about. I’m careful what and who I surround myself with. I’m not perfect, but I no longer aspire to be. I know what I am here for. And I am unapologetically myself. And I smile when I look in the mirror at just how lovely and true to my deep nature I am becoming. I am here to feel clear, light, vibrant, deep and whole. to help others discover their own fabulous health. Because I believe that it is. I want to inspire, create, to live and to love. And boy it feels good! I feel an overwhelming sense of gratitude on an hourly basis. I stop. I take time out. I ask myself what I really need. I resist the urge to get swept up in it. I ask my partner his honest thoughts. Peg my goals and desires above my desk. And meditate each day to check in and realign with that deep clarity. Because I know I am worth it. Which is lovely in itself. I still feel overwhelmingly devastated that the world lost such a cheeky and kind-hearted, beautiful treasure, but the feeling of loss has paved the way for the deepest sense of privilege that I was blessed to share those moments with him at all. My life would be void of so many beautiful moments, adventures, giggles and fun without his presence. I just want to learn all that I can from the deep experience that I was gifted. Pain is beautiful because it reminds us of all that we have. And it reminds me of the lasting and deeply beautiful effect you can have on your fellow life travellers. Little things like walking past a pool table at a pub can beam joy right into the core of my heart, and make me feel giggly, full and grateful. Other times it can open up a deep fragility. But I learnt to let go of judgement long ago. I’m sure as hell not going to hold back anything that my body wants to feel, because that ain’t the path to fabulous health! I breathe, I embrace, and I gently move on. I stretch out on the river of change. Be gentle with yourself. Be kind. Be patient. Let go of expectations. The most beautiful and useful thing that no one ever tells you about grief is that we all deal with it in our own unique way, and that that’s okay. Find a brilliant counsellor to guide, support, and hold the space for you as you move through the complex up-and-down of it all. For all types of transition, my favourite book is ‘Broken Open’ by Elizabeth Lesser. Truly beautiful. All the best with your beautiful journey. You’re doing a good job. What did I tell you?! I think everyone can take something from this amazing reflection! Thank you so much Amy for giving us an insight into your journey, I’m sure it will speak to many people. Make sure you check out Amy’s website, Fabulous Health, and ‘like’ her Facebook page, Chinese Medicine + Fabulous Health, where she regularly posts tips to achieving (you guessed it) Fabulous Health!